21st Century VitaJoy Adult Multi Gummies supplement your daily vitamin needs. These gummies with naturally sourced fruit flavors taste great too! 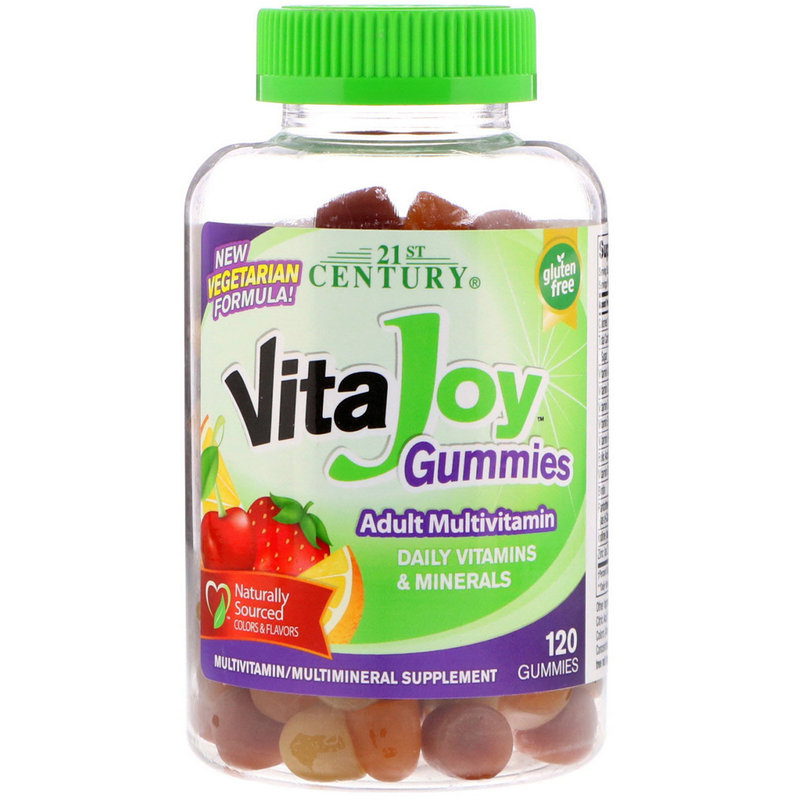 You can be sure of receiving valuable nutritional support with each daily serving of VitaJoy Multivitamin Gummies. 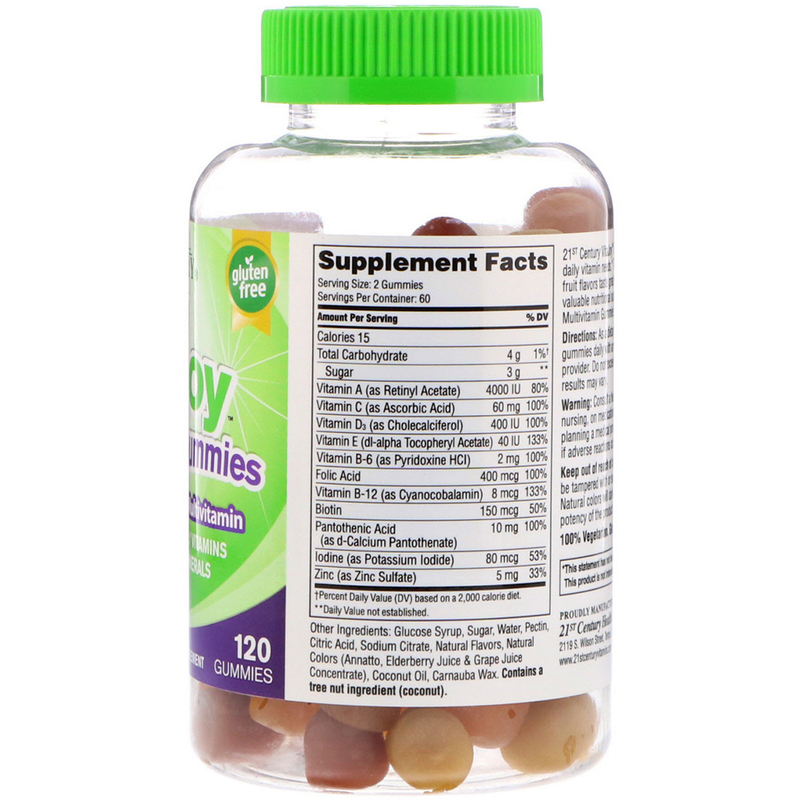 As a dietary supplement, adults chew two (2) gummies daily with any meal or as directed by your healthcare provider. Do not exceed recommended dosage. Individual results may vary. Glucose syrup, sugar, water, pectin, citric acid, sodium citrate, natural flavors, natural colors (annatto, elderberry juice & grape juice concentrate), coconut oil, carnauba wax.